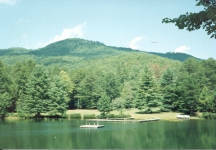 Camp Dixie for Boys and Camp Dixie for Girls is a brother-sister summer camp established in 1914 in the scenic Blue Ridge Mountains of northeast Georgia. Owned and operated jointly, each camp conducts its own program and shares some of the main facilities - lake, dining hall, and stable. During the summer, some special events and programs are planned so that both camps can participate in these activities together.